History is written by the victors. That’s certainly true in Bisbee, Ariz., a small border town where, in 1917, a sheriff backed by local mining companies rounded up striking workers and exiled them to the New Mexico desert, never to be seriously thought of again. 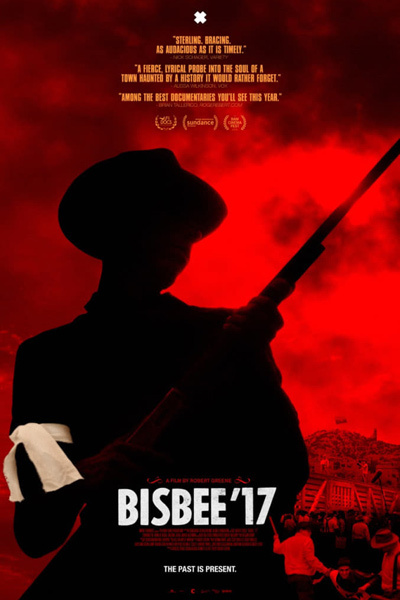 “Bisbee ’17” addresses that traumatic event in a bracing documentary that blends fiction and reality in ways that both complicate and enhance the material’s core themes. Premiering at this year’s Sundance Film Festival, it’s an investigation into memory, intolerance, corporate-labor conflicts and race relations that’s as audacious as it is timely — and further confirms that director Robert Greene is one of America’s finest new voices in nonfiction. Greene’s aesthetics prove not only arresting, but in sync with his larger depiction of a community wracked by dissonance and in search of unique ways to come to terms with its heritage. Lawrence Everson’s soundtrack is marked by anxiously strident strings and thudding foot-stomping beats. Jarred Alterman’s cinematography, generates unease from gliding pans and interview set-ups that begin before the speaker starts talking and end long after they’ve finished. It’s a formally dexterous portrait of a municipality and its people, using both drama and documentary filmmaking to look in the mirror, and — by finally seeing, and confronting, an ugly truth — discovering a measure of healing and solidarity.